The Princess Eleanor Swarovski tiara from Aristocrat Tiaras has simple arches between star flowers made of crystal beads and is encrusted with crystal AB beads along its visible length to create a truly stunning effect. This crystal bridal tiara gives a traditional, but elegent "princess" feel. If you prefer simple but stylish, this is the tiara for you on your wedding day or your special ball! 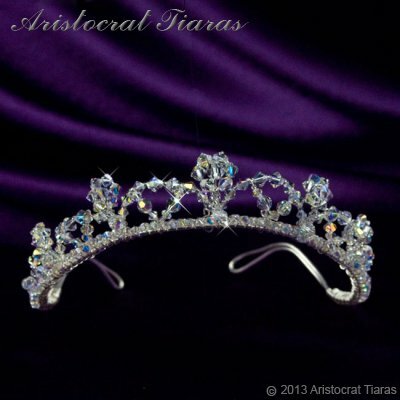 You may also be interested in Lady Rosalina necklace to compliment this crystal tiara.